Industry Week, a very busy week! Throughout this week, a number of actions were conducted by various sites: visits, diploma awards, job dating and conferences. A look back over Industry Week at Hutchinson! 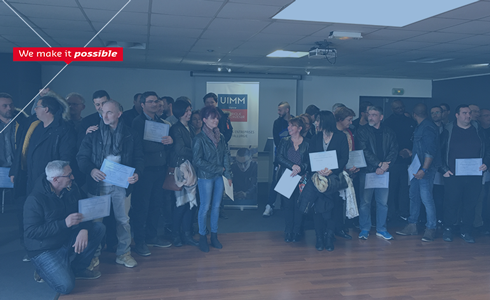 In Ingrandes, employees who had taken a training course linked to jobs in industry, in partnership with the Union des Industries et des Métiers de la Métallurgie (UIMM), received their diploma. In the middle of the week, high-school students specializing in Industrial Science and Technology from the Lycée E. Branly in Châtellerault were able to visit the factory, giving them an opportunity to talk to professionals in the sector. 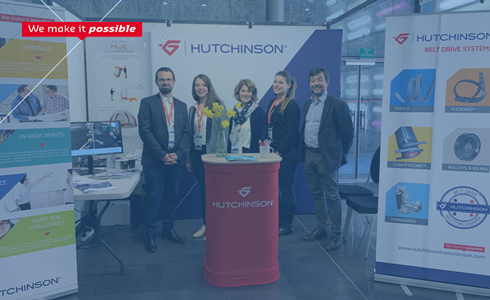 In addition, the Châteaudun and Joué-lès-Tours sites were present at the Made In Val de Loire exhibition on the theme of “Industries and People”. Numerous meetings with the general public, students and industry professionals took place around conferences and workshops. In Montargis, around forty students had a chance to discover the 507 Fab House, the InCube, two workshops in the factory (Jar Seals, FCD and FMS HP) and then two Research and Innovation Centre (CRI) labs (NVH and mechanical characterization and testing); an opportunity for the local HR team to collect internship applications for the factories and the CRI. The morning ended on the terraces of the Atrium at the 507 Fab House with an exchange of experiences and a debriefing of the students on their visit and their perception of Hutchinson.